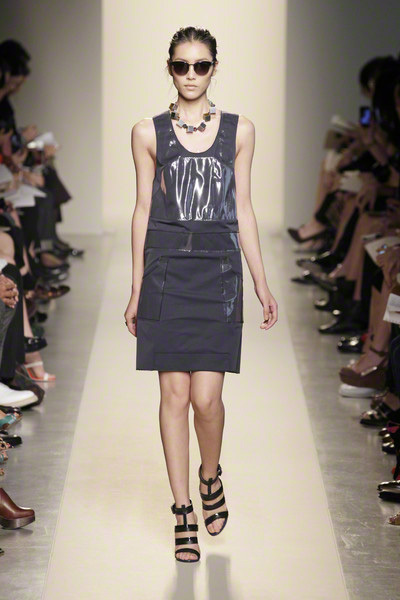 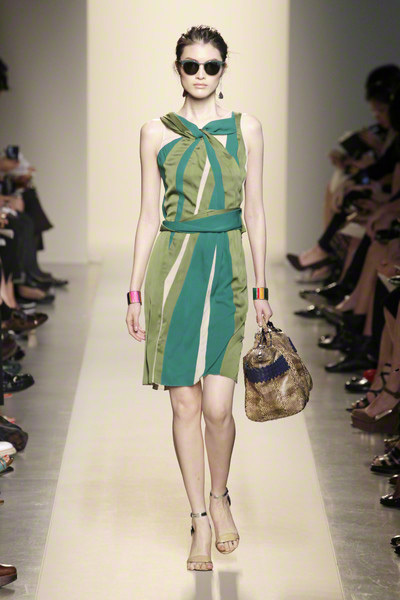 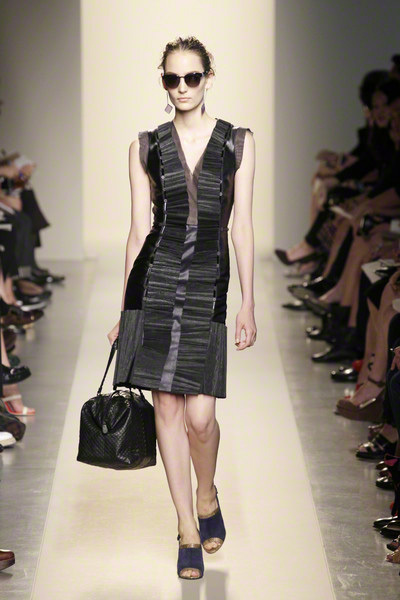 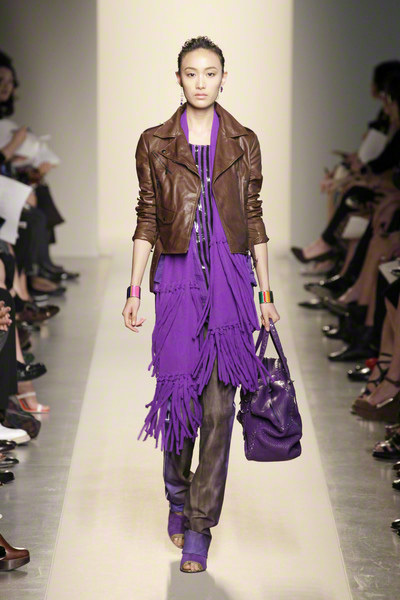 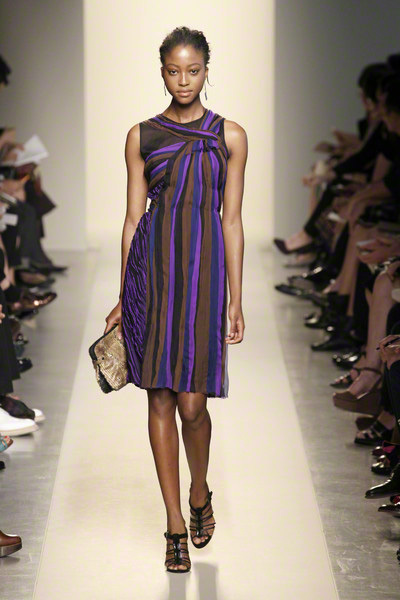 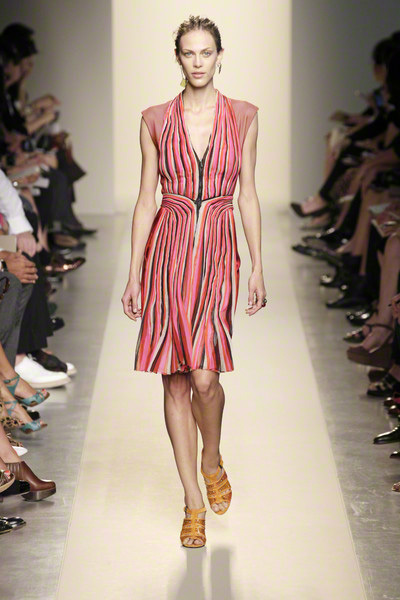 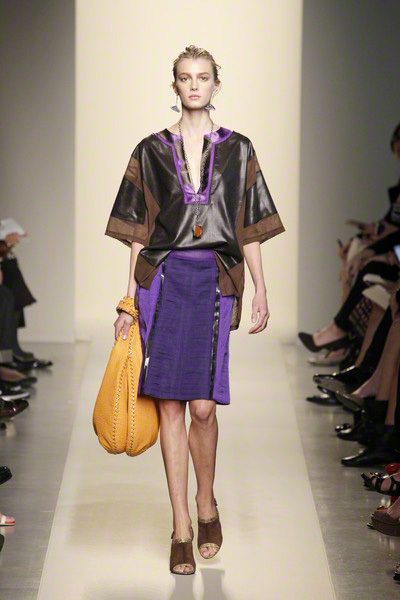 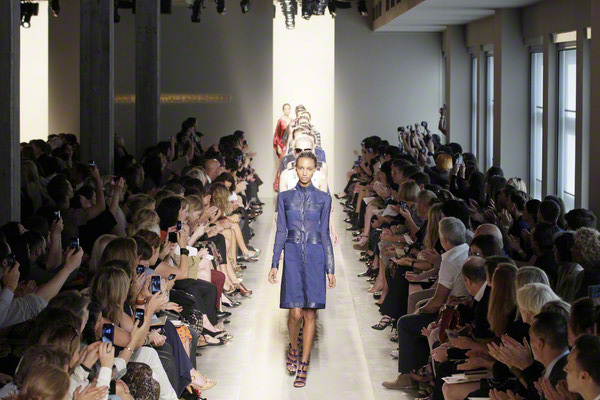 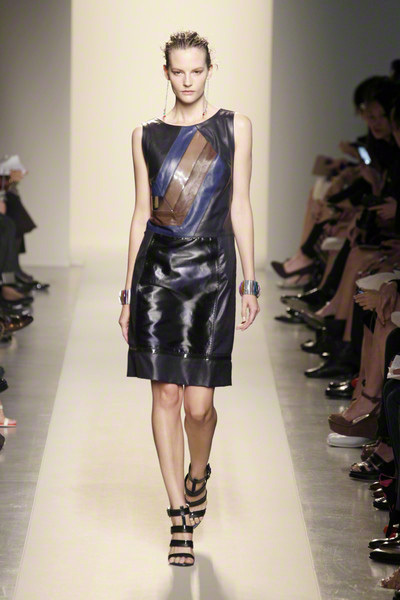 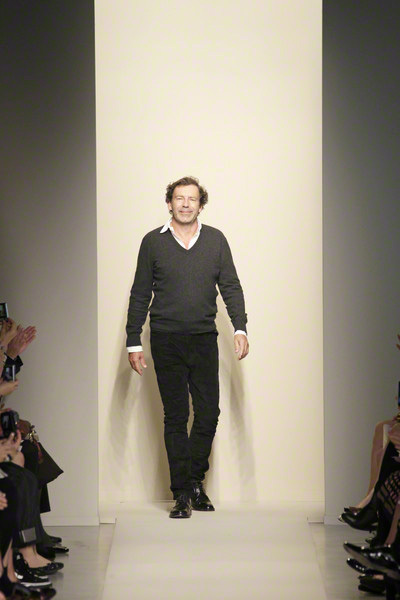 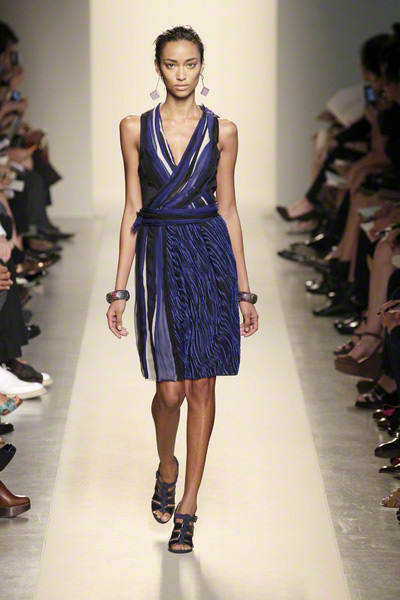 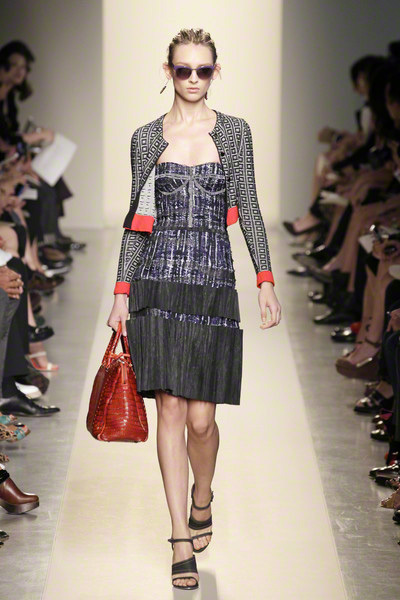 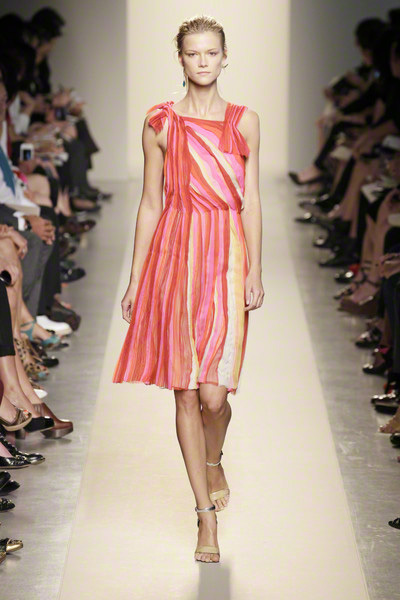 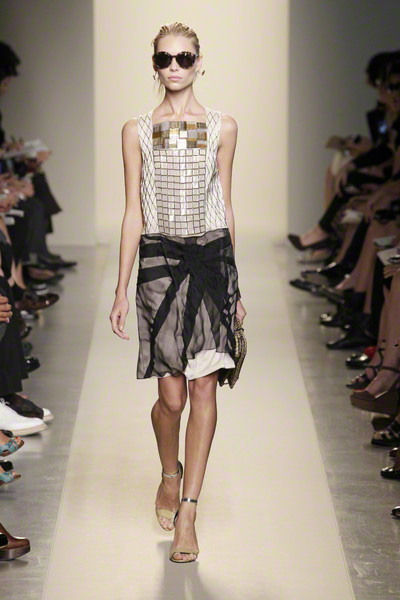 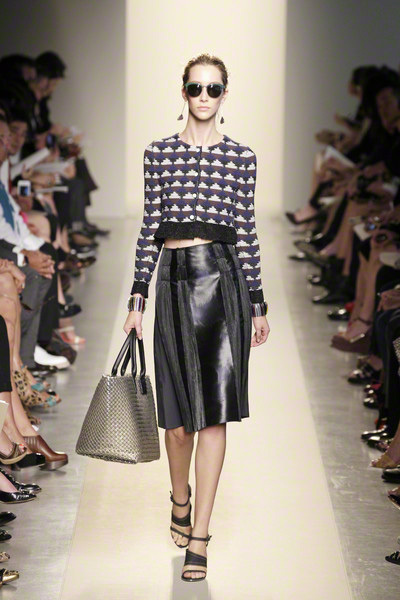 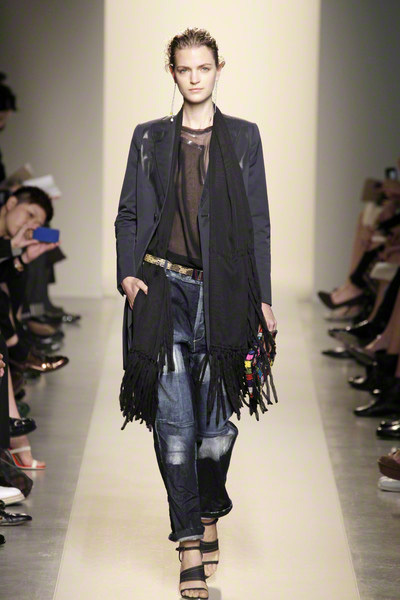 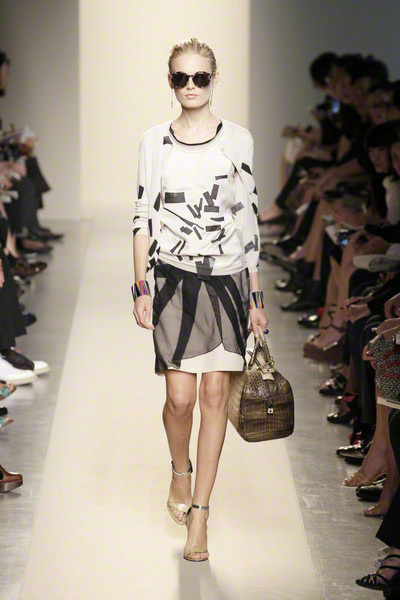 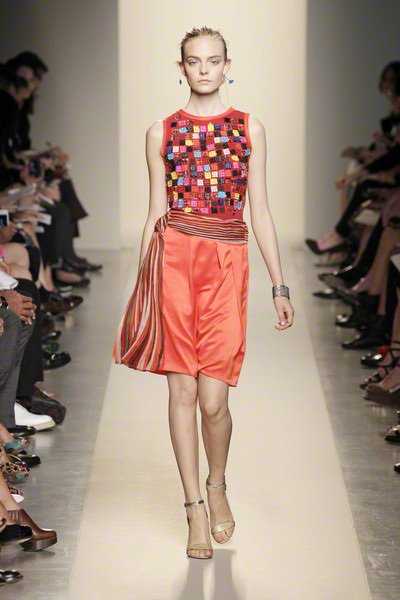 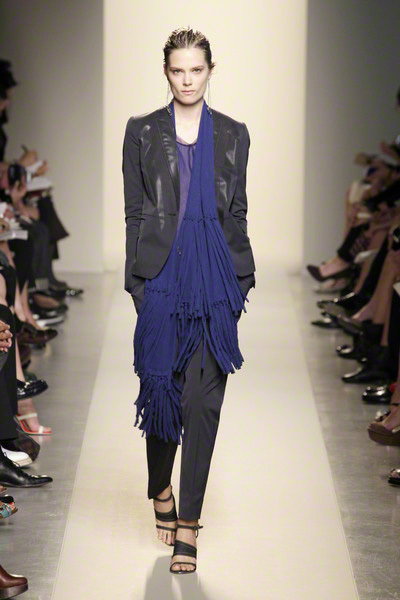 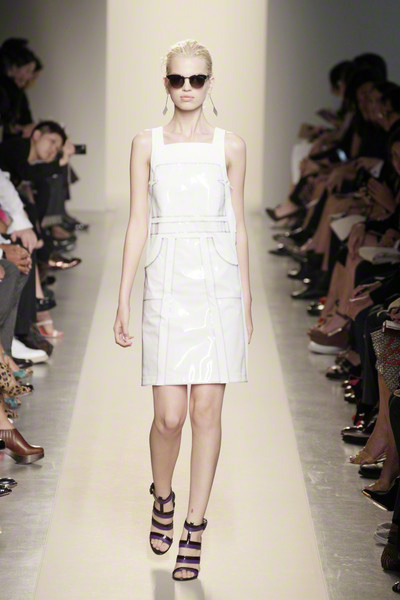 For Bottega Veneta ss2012 Tomas Maier wanted to make a collection with a sense of freedom and high spirits. 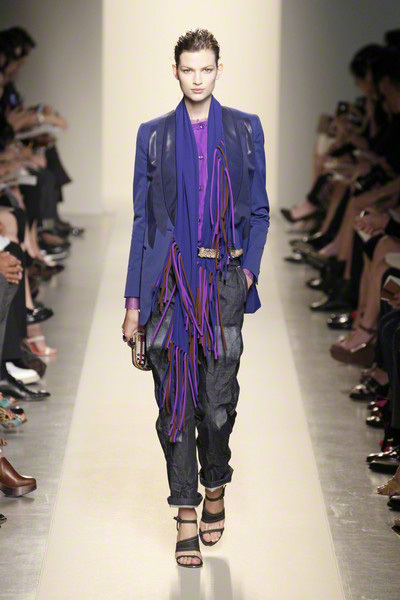 He managed to create clothes with a certain joy in its mix of colors and textures. 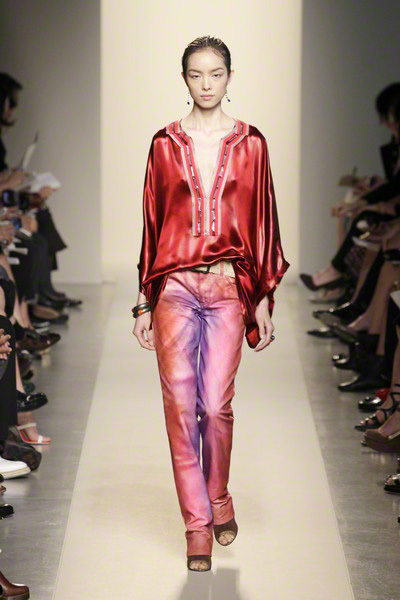 The colors were so strong and full, the silhouettes so feminine and free and the fabrics modern yet comfortable. 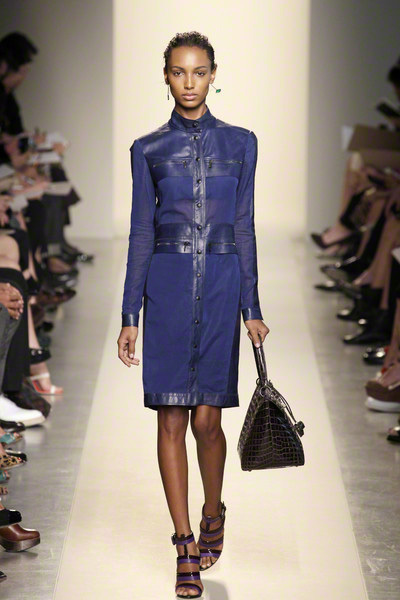 Maier started with corsetted dresses, followed by shirt dresses of matt silk en leather inserts that gave it a cool attitude. 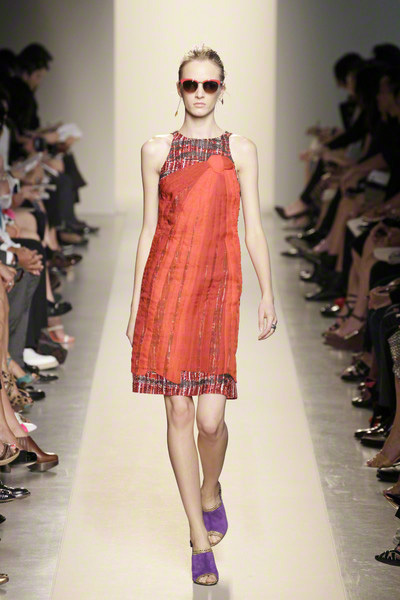 As always the collection was full of ideas from trouser-suits to wide knits, elegant silk dresses with ethnic/geometric patterns and transparent overlays. 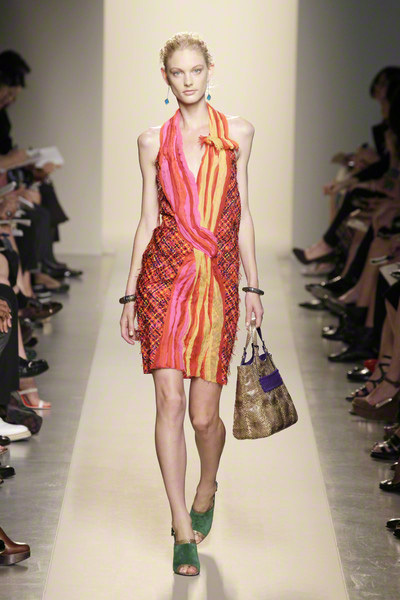 The tunic dresses and tops had a hippie-feeling, while the rich colors (indigo, purple, red, fuchsia, orange) and organic feel of the fabrics gave it a more homemade character. 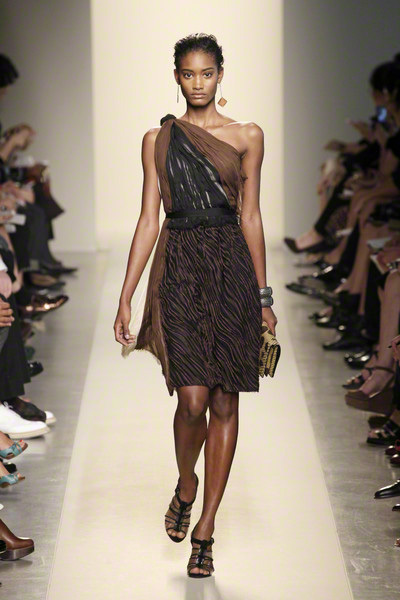 Of course there were some signature dresses that were tied and twisted around the body and looked very sophisticated.